On 24th February 2015, Baroness Bakewell asked Her Majesty’s Government “what requirements were set in the contract for Yarl’s Wood Immigration Removal Centre recently reawarded to Serco regarding the dignity and privacy of women detained there”. 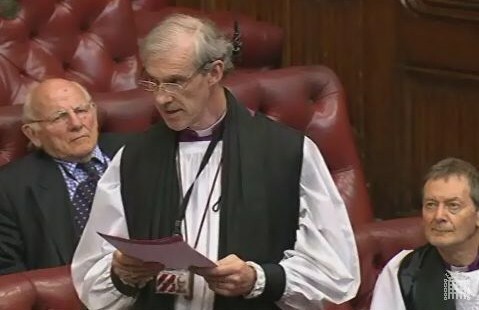 The Lord Bishop of Carlisle: My Lords, in view of the concerns expressed only last Friday by the Joint Committee on Human Rights about women and girls who claim to have been victims of violence and are detained at Yarl’s Wood under the fast-track process, can the Minister tell us whether the Government have any plans for a screening process for people in that position? Lord Bates: This is subject to a very careful screening process, and the decision to send someone to Yarl’s Wood is not taken lightly. There are medical reviews by a GP and reports are provided to the caseworkers before any decision is made. The point is that these are people who have overstayed their stay, their asylum immigration applications have been denied and, therefore, they are about to be deported imminently. That is the reason they are there. However, that does not mean that they should be treated with anything less than the highest standards of dignity and respect.